Kamala or Kamla Ekadasi is the name given to the Ekadashi fasting falling in the Adhik Maas or Extra month in a traditional Hindu Lunar Calendar. Kamala Ekadasi 2018 dates are May 25 and June 10. Kamala Ekadasi is also known as Padmini and Padma Ekadasi. It is also known as Purushottam Ekadasi. This Ekadasi fasting is referred to as Durlab Ekadasi or rare Ekadashi in Vishnu Puran. This is because it only comes once in three years. All the usual rules associated with Ekadasi fasting are followed on the day. You need to only fast on a single day depending on the Ekadasi followed in your region or by your community. All grains and honey should be avoided on the day. One should eat only from one's own house. Bronze vessels should be avoided on the day. The Adhik Masa is also known as Purushottam Mas and is dedicated to Lord Krishna. This year the Adhik Maas is the Adhik Jyeshta Masa. The popular belief is that observing Kamala Ekadasi falling during the Shukla Paksha or waxing phase of moon of Purushottam Maas will help sin redemption. It is also believed that observing this one Ekadasi will give the benefit of observing all other Ekadasis in a year. Performing the Vrat is equal to performing yajna, penance and donation. It provides all the merits of Yajna, tapas and daan. Performing the fasting is also equal to visiting all teerths (pilgrim centers) and taking dip in all they holy rivers and ponds on earth. The vrat is also kept for getting intelligent and healthy children. 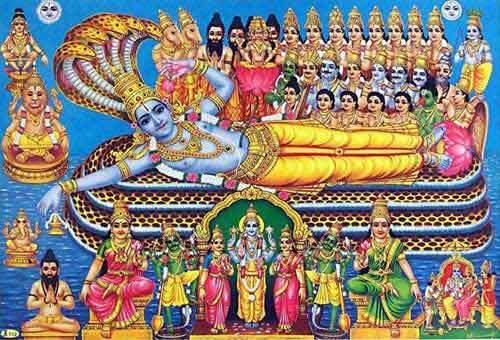 How to Observe Purushottam Maas Kamala Ekadasi? Take vow of fasting on the previous day and eat only vegetarian food on the day. The previous day is meant for mental preparation. Wake up early in the morning on Ekadasi day, perform bath and offer prayers to Ganesha in mind. Then offer prayers to Vishnu. Lamp on the day should be lit using cow ghee. One wick is ideal. Prayers should be offered to Radha Krishna and Lakshmi Narayan. The puja on the day is divided into four parts. In first part of six hours, unbroken coconut should be offered to Vishnu. Offering prayers and puja during this period gives the merits of performing Agnishotom Homa. In next part, Tulsi leaves should be offered. This period puja gives the merits of Vajpeya Yajna. In the third part, seasonal fruits should be offered. This period puja gives the merits of performing Ashwamedha Yajna. In the fourth part, supari and betel leaf should be offered. Offering prayers and puja during this period gives the merits of performing Rajasuya Yajna. Fruits can be eaten while observing the fast. In the evening visit a Vishnu temple and offer prayers. Chant the name of Vishnu as many times you can. Giving water to thirsty people on the day is meritorious. Keep water for birds and animals. Feed cows with jaggery and green grass. Lighting lamps on the day have special merits.